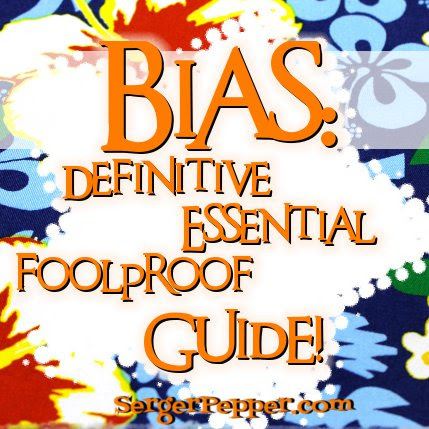 Bias: Definitive Essential Foolproof Guide! A frequent beginner sewist’s mistake is simply to ignore how the fabric is made and how its properties changes, depending on your pattern’s direction line-up. 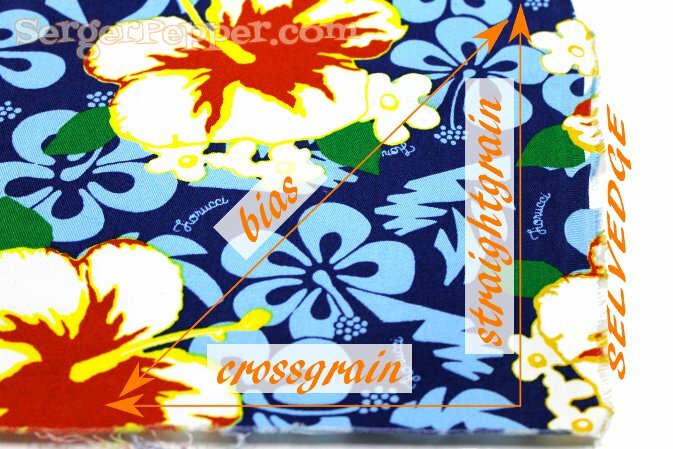 If you’re completely unfamiliar with fabric, I’d suggest you read my Fabric 101 post, where I’m explaining what a straight grain, cross grain and a bias are. The bias direction of a piece of woven fabric, usually referred to simply as “the bias”, is at 45 degrees to its warp and weft threads. Every piece of woven fabric has two biases, perpendicular to each other. Non-woven fabrics such as felt or (non-woven) interfacing do not have a bias. Remember that the same fabric, cut on grain or on the bias, has completely different properties! When a pattern(maker) asks you to cut a piece on the bias, often it’s because this particular piece has to drape softly or stretch just a little. If you ignore this, you could end with a completely different result from what’s shown on your pattern’s cover! A pattern cut on the bias is often designed without darts, because it takes advantage of your bias-cut fabric’s natural stretch to add ease and fit well: cutting on grain will likely leave you with a garment you can’t wear at all! Try this awesome Sandra Betzina’s Craftsy class, to learn even more bias secrets! Never. Pull. Fabric. I mean Never!!! 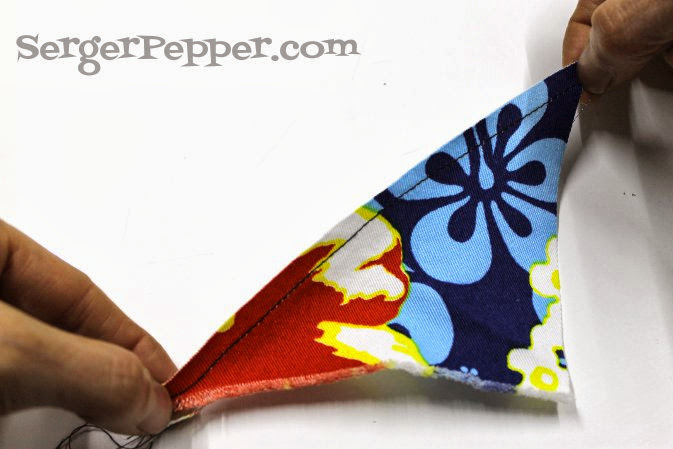 …or it will lose its shape: allow the pattern piece to keep its natural shape! Can you see how much it stretches, along the bias? To stay on the safe side, simply add staystitching along the edges (remember: sew inside your seam allowances! 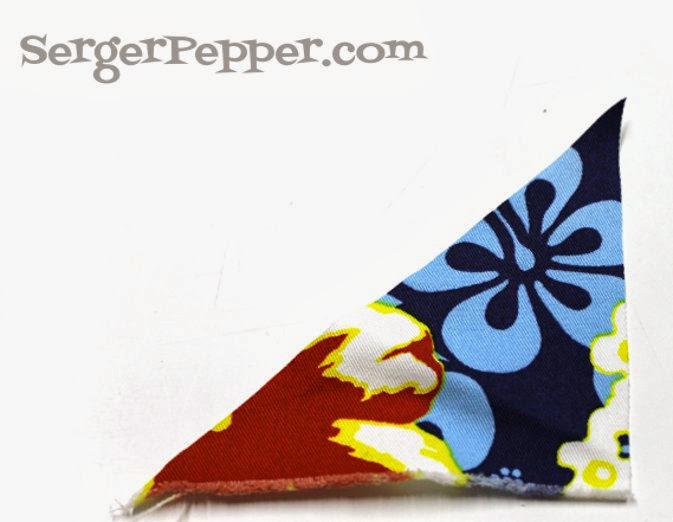 ), just after cutting your pattern pieces, and carefully sew without stretching! Look how much less flexible is now! When sewing bias-cut fabrics, better sew little portions of your seams, stop and repeat: this will help you avoid pulling, therefore, distorting your pattern piece. Press seams without sliding your iron on your bias-cut garment surface. You’re right, this is a rule of thumb for any press-while-you-sew advice, but on the bias is mandatory, or you’ll certainly end with a distorted pattern piece, no more matching with the other pieces of your pattern (it could be longer, shorter or simply morphed in shape). How do I hem a bias-cut garment? Let it on a hanger (or better on a dress form, if you’re so lucky to have one!) a day or two before hemming it. If you skip this step, your hem will be uneven, with a potentially unwanted (and completely random) hi-low effect! 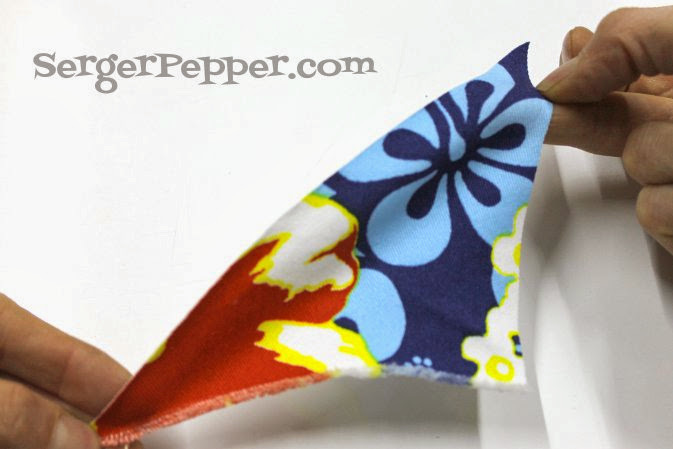 Use a lightweight woven fusible interfacing (cut on grain!) if you have to add a zipper on edges of a bias-cut garment (often a skirt or a dress, but could be a blouse too! ); some hand basting can also help you avoiding ripple marks – do not skip it here! If you’re going to add buttons and buttonholes on a bias-cut garment, stabilize it adding interfacing scraps behind them. If you have a woven interfacing (my favorite, I don’t like non-woven kind! 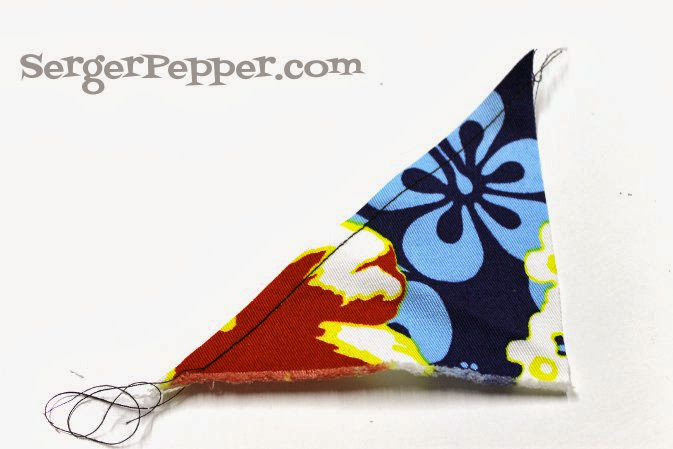 ), cut it in grain and not in bias, or your pattern piece will stretch also if interfaced! Save time on finishing seam allowances, since bias doesn’t fray! If you like, you can trim off some of the seam allowances bulk, using pinking shears. What if I have to sew together a bias-cut piece to a grain-cut piece? Always put the bias piece right above the feed dog and the other one on top, against the presser foot: the bottom layer will be eased in while the top (on grain) layer will help stabilize the seam! Look at your fabric closely before cutting! Consider adding a central seam on a bias-cut garment’s front and back pieces: if your fabric’s crosswise and lengthwise threads looks quite unequally distributed, add it! That’s all for today: next week I’ll show you how to quickly and easily cut rectangular shapes on the bias if you only have required measurements (and no pattern pieces). ops averlo letto prima, ho appena tagliato il collo del test per dritto…. Vabbè, tanto è di maglina… resta elastico comunque! Everything I wanted to know about bias all in one place. Really well written Irene, thank you. Glad you find it useful – I’ve found so many people wondering why the heck they had to cut on bias that I decided to write something, just to have a blog post to point at everytime they ask it to me again… lazy girl…. You’ve explained this so well, Irene!!! Perfect for those new to sewing. Thanks Pam! I’m so happy to hear that from you – I love your instructions/tutorials because they’re easily understandable also from who, like me, haven’t English as native language! I’m always in doubt when I write something, that people around the world won’t think: “What??? ?”, reading my explainations! Thank yoy for providing such an educational item on the Thumping Thursday bloghop. Irene, I love your blog. I have pinned so many of your instructions and tutes. You are doing a great job and your English is very good. No problem with following your posts. Keep up the good work. Oh, Karen, thanks for your sweet words! You can’t even imagine how much I’m happy to hear that from you! I’m always in doubt about my english when I write a tutorial, that I end up changing a thousand time my phrases… until I’m satisfied or (more frequently) when time to post comes!!! Thank you! Great post. Learned a great deal, even after reading/studying with other folks.